Competition! 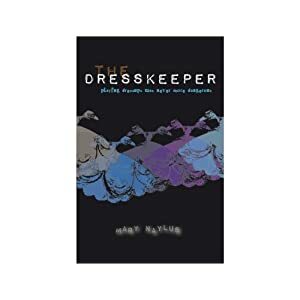 Win The Dresskeeper by Mary Naylus – It's Time to Read! This title is suitable for children of ages 12 years & over. When Picky’s Mum forces her to look after Gran, who has dementia, Picky is accidentally transported back to the year 1685, where a man in a wig insists she is someone called Amelia and tries to kill her. Managing to get the dress off just in time, Picky returns to the present with the dress covered in blood. Who is Amelia? Is she dead? Will wearing the other dresses in the chest take Picky back in time too? And does she dare put herself in danger again? What year is Picky transported to? Please include your name and address in the email (open to UK only, sorry). Cool blog, thanks for the great giveaway! Aww, sounds like a cute book!! Is it out in the US?